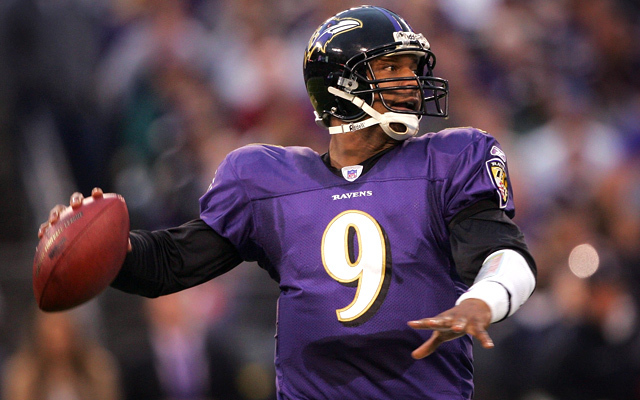 Steve McNair, a former National Football League quarterback for the Tennessee Titans and Baltimore Ravens, and a woman may have died in a murder-suicide in downtown Nashville, Tennessee. Autopsies were to be done today on the 36-year-old former player, who had been shot several times, and a 20-year-old woman, who had a single gunshot wound to the head, the Tennessean reported, citing police. A gun was found near the woman’s body. Police weren’t seeking any suspects, the newspaper said. “We don’t know the details, but it is a terrible tragedy and our hearts go out to the families involved,” NFL Commissioner Roger Goodell said in an e-mailed statement. McNair retired in April 2008 after 13 seasons in the league with the Houston Oilers, which later became the Titans, and the Baltimore Ravens. He shared the 2003 most valuable player award with the Indianapolis Colts’ Peyton Manning. McNair led the Titans to the Super Bowl after the 1999 season, where the team lost to the St. Louis Rams 23-16. Receiver Kevin Dyson caught McNair’s final pass with no time remaining and was tackled with the ball inside the 1-yard line. Washington Redskins safety Sean Taylor died on Nov. 27, 2007, a day after he was shot in the leg during a botched burglary at his Miami home. Four people were arrested in the murder of the 24-year-old Pro Bowl player. McNair retired just over one year ago from the Baltimore Ravens. The Houston Oilers selected McNair with the third pick in the 1995 draft, two years before the team moved to Tennessee. McNair started all 16 games for the first time in 1997, when he threw 14 touchdown passes and 13 interceptions and gained 674 yards rushing. In 2003, McNair and the Titans made their fourth playoff appearance in five seasons. Three years later, the four-time Pro Bowl selection was traded to Baltimore. The team finished 13-3 and McNair became the third quarterback in NFL history to throw for more than 30,000 yards and rush for 3,500, joining Hall of Fame members Fran Tarkenton and Steve Young. McNair injured his groin, back and shoulder playing six of 16 games during the 2007 season, in which he threw two touchdown passes, lost seven fumbles and threw four interceptions. The Ravens placed him on injured reserve with a torn rotator cuff in December and the team finished with a 5-11 record. McNair retired with 2,733 completions for 31,304 yards, 174 touchdowns and 119 interceptions. He also gained 3,590 yards rushing, with 37 touchdowns. His death came two weeks after he opened Gridiron9, a restaurant specializing in grilled menu items priced for students at nearby Tennessee State University, according to a report in the Tennessean. He planned to make daily appearances at his business when he was in town. McNair was born Feb. 14, 1973, one of four sons to Lucille McNair in Mount Olive, Mississippi. The boys did farm chores at home and odd jobs during the summer months to help pay bills, according to McNair’s biography on his foundation Web site. At Mount Olive High School, he received All-State honors as a point guard in basketball, shortstop and outfielder in baseball, long jump and runner in track and quarterback and defensive back in football. Drafted by Major League Baseball’s Seattle Mariners, he instead decided to attend Alcorn State University and focus on football. After every touchdown during his pro career, he gestured to his arm where he had a tattoo of the “Omega Man” representing his membership in the Omega Psi Phi Fraternity, founded in 1911 by three Howard University undergraduates. In 1997 he married Mechelle and the couple had four sons, Junior, Steven, Tyler and Trenton.